Home » Blog » Who Predicted Iowa Results 2500 Years Ago? That promised Part II to yesterday’s piece (also from Huffington Post) which tries to explain how Aristotle, 25 centuries ago, might have predicted Donald Trump’s recent loss in Iowa. As the Interwebs fill with theories regarding why Donald Trump did not pull off a predicted win in Iowa (from his vulgar blustering finally catching up with him to his falling prey to a conspiracy of “Establishment Republicans” and the “Liberal Media”), I’d like to propose a far more fundamental reason for his defeat, one that makes it likely he’ll never be placing giant golden “T” atop 1600 Pennsylvania. This theory appears in the first case study of Critical Voter, a book that was written and published well before the Iowa results were in (so take that for what it’s worth). While last time I talked about some dings made against Trump’s critics in that case, the study also looked at the Trump phenom through the lens of Aristotle’s three Modes of Persuasion. In between codifying every known discipline of the time (including science, politics and language), that 4th Century BCE philosopher also determined that someone’s ability to persuade an audience (like the voting public) boiled down to three key qualities: logos, pathos and ethos. Logos, which translates to logic, represents the part of an argument that appeals to reason. And while any number of logical systems might underlie such an appeal, the key point is that an argument built on some sort of logic can be said to possess logos. Pathos is about emotion, and this is that component of an argument that appeals not to the head, but to the heart (or gut). When used appropriately, an appeal to pathos would target good emotions like love, compassion and caring. But appeals to bad emotions like fear and hatred are certainly not unknown in politics (unfortunately). Ethos is the hardest term to translate into English, but it represents the bond an arguer is able to make with the person he or she is trying to persuade. When someone begins a political speech by saying something nice about a local politician or sports team, for example, that’s an attempt to create an ethos bond with the audience (although ethos can also be established by speaking, dressing and eating like the people you hope to convince). 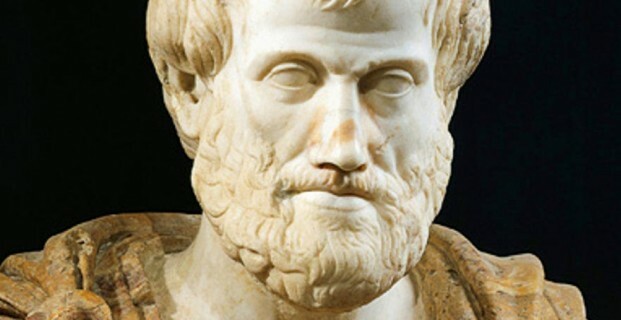 Few politicians manage to pull off all three of Aristotle’s Modes of Persuasion and balance them correctly. Probably the most successful recent politician to do so was Bill Clinton who was described as a policy wonk (i.e., he possessed logos) who truly cared about the needy (a pathos response) as well as being a president who “felt our pain” (a textbook definition of ethos). But most candidates, especially in our poll and media-driven campaign era, struggle to get this balance right — assuming they are even trying to do so. Which gets us back to Trump. I don’t think I’m being uncharitable by pointing out that Trump’s campaign has been relying more on emotional than logical appeals, or that the emotions he has appealed to have included bad ones like fear and anger. But more importantly for the fate of the candidate and his campaign, no politician in American history has made less effort to create an ethos bond with the public. No doubt many Americans long to be as wealthy as The Donald. But does that mean they want to continually be hectored about how much richer, smarter and tougher the candidate is than everyone else (including those he is hoping will give him their votes)? In fact, the one defining characteristic of the entire Trump message is how different the candidate is from everyone — including not just other politicians, but the public at large. And even if that message hasn’t turned off every voter, it is still not the stuff of ethos. While humility (particularly the intellectual humility needed to accept that your clever and cherished theory might be wrong) is also a critical thinking virtue, I’m going to go out on a limb and say that a candidate who doesn’t even make an attempt to create an ethos bond with those whose votes he seeks can never achieve long-term political success. Fortunately, this is a theory that can be put to the test in the weeks and months ahead.